As difficult as it is to believe, the moment in which Gregg Popovich steps down from his role as the head coach of the San Antonio Spurs isn’t that far away. Perhaps even at the end of this season. 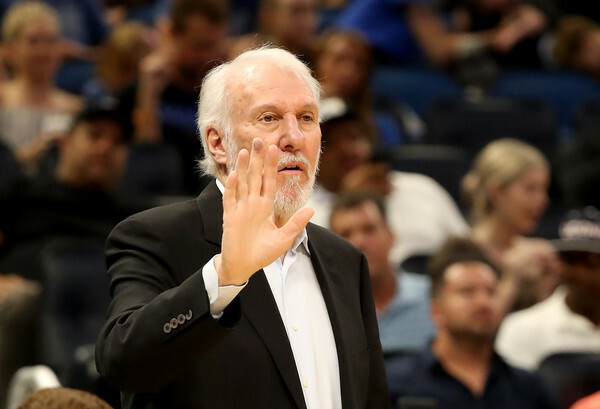 Popovich, a 5-time NBA champion with the Spurs who has been their head coach since 1996, said that he “doesn’t know” to Mark Stein of the NY Times whether he’ll still be the coach of the Spurs next season. Popovich’s contract expires at the end of this one, and while it’s hard to believe the Spurs and general manager R.C. Buford won’t offer an extension to Popovich, perhaps the agreeing part is no longer clear as it was before. 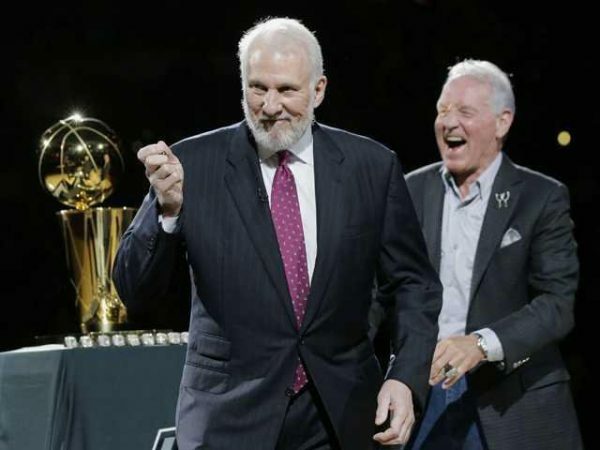 It does make sense – Popovich is 11 days shy of his 70th birthday; only Larry Brown, Hubie Brown and Bill Bertka have worked into their 70’s as NBA head coaches. Popovich is an all-time great, with the 5 titles we mentioned before, 1223 career wins and a streak of making the playoffs 21 seasons in a row (this year would be number 22 if the Spurs hang on to their 6th spot in the West), but even all-time greats step down too. Another thing to factor in is Popovich’s role with the USA basketball team. He took over for Mike Krzyzewski, and will lead the national side to the Basketball World Cup this September. By the end of the tournament, he’ll have only 2 weeks to prepare the Spurs for the 2019-2020 season. Early expectations had Popovich coaching the Spurs until the end of the 2019-2020 season, then leading the national team in the 2020 Tokyo Olympics and then retiring. But perhaps he’ll leave the NBA business a bit sooner, and simply focus, understandably, on coaching the national basketball team exclusively. The Spurs are 26-20 so far this season, 6th in the Western Conference, currently 1.5 games clear of the 9th-spot Los Angeles Lakers, with all the teams from 10th through 15th playing for a playoff spot, making it a long, difficult race until we know if the Spurs postseason streak remains alive.